We know that adding fresh herbs to our home-cooked meals make the food more intense and interesting too. The problem is when buying fresh herbs, there is always a minimum amount for the purchase. Usually, I end up with more than what’s needed for cooking a particular dish. How about you? 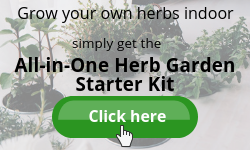 If you have the same quandary, read on as I am going to share different ways to use herbs. You know what? Let's talk about ONE way – the easiest and healthy way to use up your leftover fresh herbs. Towards the end of this article, I'll leave you a few links to other usages of herbs. Leftover fresh herbs. What to do with it? Waste not. Herbs tend to lose their freshness and quality swiftly thus you need to find ways to use them before spoilage. Why don’t you make something healthy out of it? Make your own smoothies with fresh herbs. 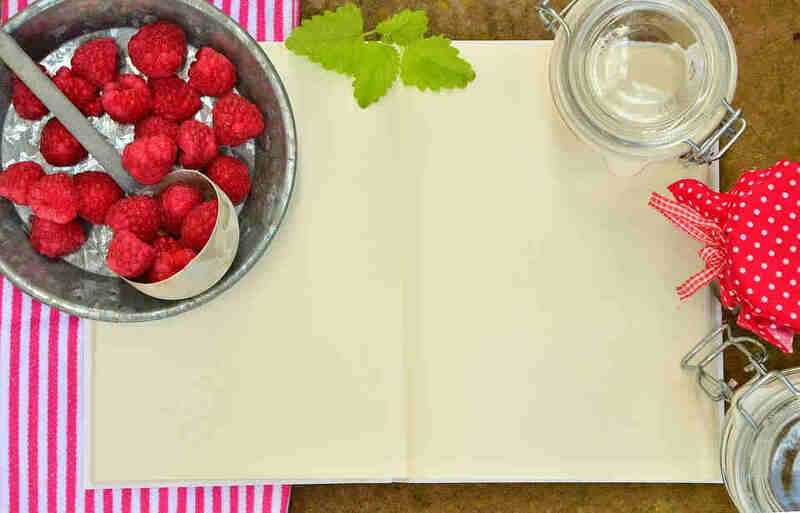 I see smoothies everywhere – selling at every nook and corner of the shopping mall, smoothies recipes published in recipes books and magazines, and all over the world wide web. Adding fresh herbs to your smoothies is an excellent way to boost the nutrition value and enrich the flavour. You can manage a certain health problem by knowing the health benefits of the herbs and using them to mitigate the health condition. You may know the answer already but might still be a good read. 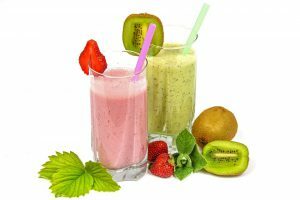 Smoothie is a beverage where whole fruit and/or fresh leafy green vegetables are blended. It is good for health as it provides the fibre of the fruits and vegetables. It is much easier to ingest a lot more greens in a smoothie than a bowl of green salad. Also, a lot more fruits at one serving rather than having to eat a platter of fruits. Hence, giving your body much more fibre and nutrients. Use them to make healthy smoothies. 1. BASIL is known for its antibacterial and anti-inflammatory properties, aids digestion and relieves stress. It is also rich in vitamin K which is essential for building strong bones and support a healthy heart. Adding basil to smoothies will lend a sweet, but savoury flavour. Pairs well with melon, pineapple, citrus fruits and leafy greens. Vitamin K. It helps to aid digestion and combat insomnia. Also, cilantro is a natural cleansing agent and helps the body to clear out toxic metal which enters our body in a small amount through the food and water we consume. Taste the freshness of cilantro by adding it to your smoothies. It has a strong fragrance that is both sweet and pungent. A great addition to tangy, citrus fruit smoothies. It has a high concentration of antioxidant compounds, yet low in calories – ½ cup of fresh mint leaves contains only 8 calories. Mint adds a refreshing cool boost to your smoothies, great to have on a hot afternoon. Cucumber & mint and chocolate & mint are the perfect pairings. So are banana, strawberry, pineapple and avocado too. Click here to read all About Mint Leaves and Its Benefits. density and is good for skin. Also, it contains anti-inflammatory and antioxidant properties. Thymol and carvacrol, two oils found in oregano have significant bacteria-fighting power. The taste of oregano is warm, spicy and bitter with a pungent aroma. It goes very well with tomato and cucumber. 5. PARSLEY is another herb that contains a high amount of nutrients, vitamins and minerals. Namely, Vitamin A, C and K as well as iron and calcium. Making it a great herb for maintaining bone health and a resilient immune system. Parsley also helps our body in the detoxification process. It targets toxins build-up in the bladder, kidneys and liver, and helps to flush it out of the body. This herb has a vibrant, aromatic flavour with a slightly lemony aroma. Pairs well with apple, berries, pineapple, cucumber and leafy greens. anaemia while improving concentration and memory. It also helps boost the immune system and aids digestion by breaking down fats and oils. This herb has a minty, peppery, balsamic taste with a bitter, woody aftertaste. A great addition to citrus fruits with leafy greens smoothies. Also goes well with melon, avocado and berries. 7. THYME is an excellent source of iron, manganese, fibre and vitamin A. It contains thymol which is shown to have anti-fungal properties. Also, it is a powerful antioxidant that aids digestion and improves blood circulation. Thyme has a herbaceous and floral aroma. Blueberry, lemon and thyme are the perfect combinations. Other fruits are melon, pear and peach. There are hundreds of smoothies’ recipes out in the www and I can’t say which one is best or otherwise. It is a matter of personal taste and preference. The pairings given above is just a guideline and I encourage you to experiment, create your preferred smoothies with fresh herbs. Fear not. Follow this 5 simple steps and the ingredients ratio to make a healthy smoothie in no time. Any kind of milk, juice or water. Consider brewed tea or coffee too. Why not? If you do, make sure it is completely cool down. Always start with liquid. In other words, the liquid should be at the bottom of the blender jar so that it is easier for the concoction to get moving. Spinach and kale are the most common greens. Other leafy greens are collards, romaine, chard, Chinese cabbage (Bok Choy/Pak Choi) or any greens that you may like. Besides leafy greens, other vegetables to consider are celery, cucumber and beetroot. Include your herbs here. It is advisable to start small with just a sprig or two to find your preferred taste. Once you are familiar with it, you may use ¼ to ½ cup herbs. Remove thick stems as they don’t blend very well. Use frozen fruit instead of ice cubes because you do not want to dilute your smoothie. Also, it can be hard for the blender. 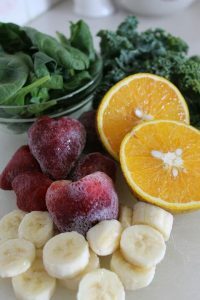 Try to have at least half of the fruits frozen. You may try frozen fruit such as banana, mango, peach, pineapple, melon and any kind of berries. Fresh fruit to consider is apple, orange and avocado. Banana and avocado are the best in creating the creaminess and smoothness of your smoothie. Don’t forget your lemon and lime! They can zest up your smoothie. Fibre, protein or flavour boost your smoothie now. In this step, you may add a spoonful of chia seeds, flax seeds (or ground) or oats (soaked) to your blender. Protein powder or peanut butter can also be added at this point. For flavour, you may add a pinch of salt, cinnamon powder or turmeric powder. If you like chocolate, add a spoonful of chocolate powder or cocoa nibs. Once all ingredients are in the blender jar, start blending! If it is too thick, add liquid. If it is too thin, add greens or frozen fruit. Adjust flavouring if needed. These steps will guide you to make a healthy smoothie without a recipe. Though, it is not necessary to follow the ratio exactly. Be adventurous and create your own blend. Depending on how much leftover herbs, you may decide to use them all or just a couple of sprig. While not all combination of ingredients makes a good smoothie, once herbs are blended in, you can't really distinguish any one particular taste. You will need to experiment to get your preferred flavour. Because herbs are concentrated with antioxidants, it is beneficial even though a small amount is used. The advantage of following these simple guidelines is that you need not follow a particular recipe. Same as in cooking, it is frustrating when you see a recipe you like but do not have some of the ingredients. This is just one of the many different ways to use herbs, easiest and healthy - make your own smoothies with fresh herbs. I hope the guidelines provided here would enable you to easily make a healthy smoothie without a recipe. Go on! Get your leftover herbs, start making one and enjoy your delicious blend. 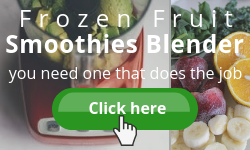 Click here to check out the BEST Blender for Making Smoothies with Frozen Fruit. I love this website. It took me forever to find my favorite concoction so I kept referring back for ideas. As simple as it sounds, I never thought to put herbs in my smoothie. I like watered down sours mix, raspberries, lime and mint. It grows like crazy in my back yard so I like to use it often. If I don’t drink it all, I freeze it for an icy treat later. Thank you for the great ideas. Freezing it is a very good idea that I never thought of. I think my kids will love it. Thank you for sharing. Wish my mint grows like yours. It isn’t growing very well this season. Must be the soil. Thank you for sharing this, I have not only been curious as to what to do with that little bit left over but also what they can go with! Many of us have a hard time choking down greens, especially in America with our “need” for sweets. I have never thought to start a smoothie with coffee, does that taste okay? lol. Neither have I thought or heard of adding peanut butter, but that sounds like a good idea, for protein as far as flavor. Peanut butter with greens only, maybe mint and chocolate, would be a good combo. Do you have any recommendations for a good blender? Thanks for dropping by Christopher. If you are a coffee lover, you will love coffee smoothie. This is specially for those who can only wake up to a cup of coffee in the morning. Like myself. However, I am not a peanut butter person. But I urge you to give it a try and let me how how you feel about it. I have heard so much about the Vitamix Blender but knew the price is very steep. My coming post will be on blender review. Do visit again. Thank you for all the information you’ve given, it is fascinating to know about these cooking herbs. I have a mango tree in my garden, and each year I harvest the mangos and then, I store them in the freezer. Thank you for your kind and positive comments Daniella. I envy your mango fruit tree with good harvest every year. I planted mine three years ago. Looks like I have a long way to go. Do try adding herbs to your smoothies or shakes. It is healthy and you will be surprised by their enhanced flavours. I had never really thought about the benefits of most herbs. And then sadly, I do use some fresh herbs, but mostly I use the spices in the little bottles/jars. I am sure they do not have the same benefits? Are some of the nutrients taken out in the process of freeze drying or bottling them? I do order HomeChef once a week, and all of the meals are cooked with fresh herbs and it does taste better. I am going to book mark this site. As I hope to learn a lot more about them and how to use them without ending up throwing them away. It is inevitable that some nutrients and flavour will be lost during the drying process. Also, more will be lost with extended storage. Since most herbs are concentrated with antioxidants, it is still beneficial in a way. I have tried cooking with store bought basil and home planted basil. Needless to say, the home planted basil was full of flavour and aroma. 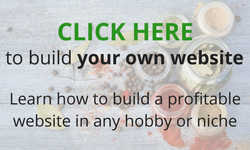 Thanks for visiting and do drop by often for more articles on how to use herbs and spices. You gave us some great information on what to do with any herbs we may have left. I would never have thought of making smoothies with these herbs. I feel guilty letting a few herbs go bad after a few days when I don’t use it all. And you’re right..they don’t last long. Now after learning how beneficial these herbs are, I will make an effort to make use of every bit of the herbs and try making smoothies. When I have a few herbs left, I also use them in soups or charro beans. Thank you for sharing this information. I’m bookmarking this page to come back to this page and for any future up dates. Thanks for visiting. I am glad that this article was able to create some awareness to what we can do with left over herbs. Will be posting more articles on herbs and spices usage.Hope to hear from you in the near future. Thank you for writing this amazing article! I learned alot about herbs from here. I had alot of leftover herbs stored in my refrigerator, always because I do not need that much for my cooking but malls don’t sell them at small quantity. Thanks to you, now I know how I can use them to create healthy beverages to drink instead. Do you mind sharing a few great smoothies recipes to me? Something fruity perhaps? Thanks for visiting my site. Honestly, I do not have any or follow any recipes making my smoothies as I tend to use whatever ingredients I have in hand. I can share with you here my favourite combinations. Banana, berries, spinach and basil. Avocado, orange and carrot. Avocado. mango and mint is very refreshing. Just follow the 5 simple steps in this article and you will have your healthy smoothie. Glad that this article provided you with useful information. 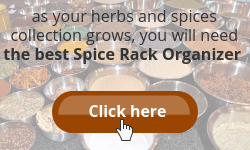 Do drop by periodically to check out more articles on herbs and spices usage. This is a wonderful idea. I was forever getting frustrated when buying herbs for a recipe but always having lots left over. I decided to grow my own and currently have mint, rosemary and thyme. I had not ever really thought of adding herbs to my smoothies but I will be definitely experimenting with this from now on. Thanks for sharing this. I am glad that this article is of help. 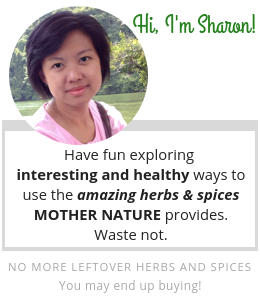 Thanks for dropping by and do visit periodically for more articles on how to use herbs and spices. Thank you so much for sharing this. I’ve struggled with smoothies for some time, and I would have never thought of putting fresh herbs in. I will definitely have to pick some up and try to make some super treats. I think mint will go really well as I’m a super sweet kinda girl. Also, I never knew so much about herbs before so thank you again! You’re most welcome Michelle. Glad that you pick up something good from here. Glad that you liked it. Any time is a good time adding fresh herbs to your smoothies – no need to wait for left-overs. Thanks for the breakdown of herbs and how to use them in smoothies. Although I make a smoothie for my wife and I every weekday morning, I did not know the specific properties of each herb and their individual health benefits until your article. Very informative! I often use mint in my smoothies because it pairs so well with fruit. I find it also helps to lessen the strong green vegetable flavors when I add kale or swiss chard. I think I would use more herbs more of the time if I could just keep them growing! In Michigan herbs can’t grow in our winters because it’s too cold. I try to grow them inside but every time spring comes they all have died. I’ve tried putting them in different places, changing the watering cycle, etc. Maybe one day I’ll find the secret and be able to enjoy the benefits of fresh herbs all winter long. I hope so! Oh, and I thought I’d mention one of my favorite herbs: MARJORAM! I use this for many vegetable dishes, but my favorite use for it is mixing it with pepper, salt, mayo, parmesan and a can of tuna fish for a crazy good sandwich! If you ever write about growing herbs and have any ideas how to help me keep them alive inside during the winters, please let me know. Herbs are so good and so good for us I wish I could have them all year long. Thanks for sharing your herb knowledge. I learned some things! Thank you so much for sharing your experience on herbs with us. Indeed, I have the intention to write about growing herbs. Still have lots to learn and share. 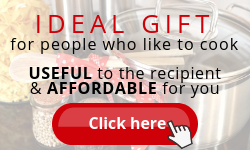 Do visit periodically for more herbs and spices articles.